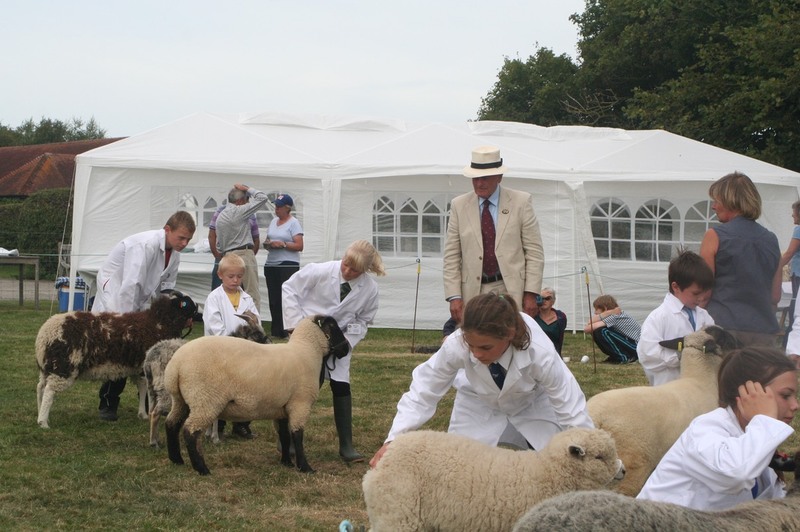 Our annual show at the begining of September is a great event when members can get together, see other people’s sheep and try their hand at showing. There are classes for all types of sheep (crossbreds, purebreds, rams, ewes and butchers lambs), special classes for novices, young handlers as well as Wool on the Hoof and Rolled Fleeces. It’s a valuable opportunity to learn from the helpful comments of other shepherds and particularly from the judges. Several members have graduated from this experience to competing at county and national shows. There are sheep for sale and equipment on offer too. A great occasion for browsing around, looking at other breeds and getting tips from fellow shepherds.